Thoughts on this, £39K guide price and lots of money spent on the engine recently. Stunning colour too, what do we think it will fetch? If a nice low mile one is £65-70k? As a toy this has to be worth £45-55, trackdays with no worry of putting miles on or the odd stone chip. Was this the one 911v sold a few years back? I know they had one in (possibly a 997 GT3) where it was a daily driver for a chap who did regular runs to the continent. Yes, the same car. 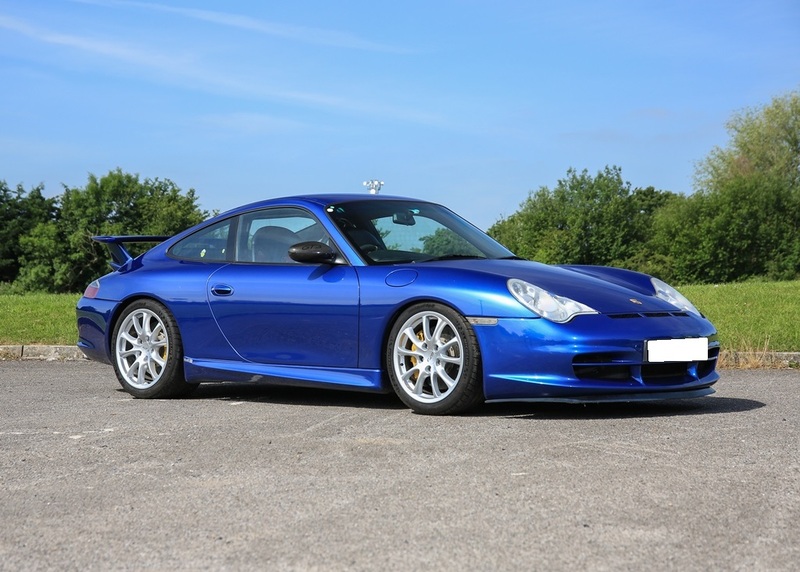 The owner went on to buy a 997 GT3 Clubsport which he racked up some big miles on. I almost bought the 997, it was a cracking example that totally belied its mileage. I’ve had the pleasure of spending some time with the 996, it’s lovely and has been owned, maintained and uprated really well IMO. In addition to the engine rebuild, it’s got uprated suspension and sounds fantastic, intake as well as exhaust enhancements I think. In fact I’d be tempted to swap my own turbo for it. I mean a GT3 you can use as often as you want for zero depreciation? What’s not to like? Looks absolutely stunning - love the colour ! Low 40's I reckon, if it gets a bid at all - nothing seems to be selling at the moment. I've been watching the market for ages and it's the same old cars still for sale. All IMO. That is the one that holds the record for longest widely known life of a set of PCCBs on a UK car - when it first showed up as a topic of thread discussion it had well over 160k miles on it and still had its original disks. Given that particularly first generation PCCBs didn't really last that well under track use that very much corroborates the narrative that most of the mileage was simply plodding up and down main roads. This is a good buy for someone. There is no issue with starship mileages on GT3s if they are appropriately priced - everything that can wear out can be renewed or rebuilt and there will always be enough retained value in the car to make it worth doing. As for values - I reckon high 40s to low 50s. The kind of money that would buy a brand new Cayman, because there will always be a portion of the Porsche market that will say "buy why would you when you can get a GT3 for that". Yep I know this car too. Stunning in the metal, looks nothing like a 200k mile car. It goes like a stabbed rat, has a superb engine rebuild and makes a fab noise. If I had the spare folding it would be on my drive. That the car for me - favourite colour, a Gt3, high mileage so not worry about using it. God if I had the money that would be on my drive now. There is something cool about a car like that with 200k+ on it. This is me, but don’t have the readies without selling the turbo ! Porsche also built a track only version of the GT3, dubbed the GT3 Clubsport. Only a handful of differences can be noted in comparison to the GT3, including the fitment of a full roll cage and a Nomex covered driver’s seat with side airbags omitted.